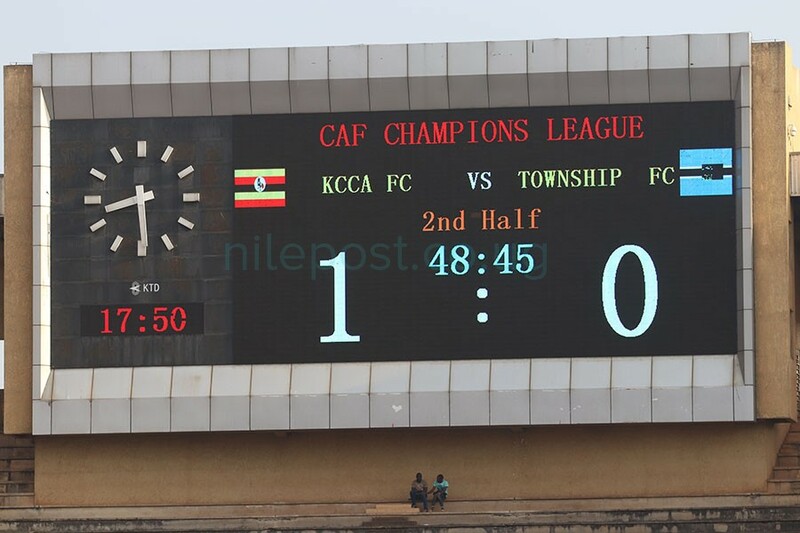 Despite winning their second last game against Botswana’s Township Rollers at home on Saturday, it was the end of the road for Ugandan representatives Kampala Capital City Authority in this year’s Caf Champions League. 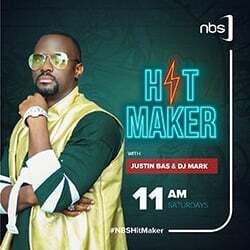 An 83rd minute tap from Patrick Kaddu ensured the hosts finally saw the back of the net after producing but missing a number of chances in both halves of the game and was a sigh of relief for Mike Mutebi who is now sure of finishing third in group A. Going into the game, the Kasasiro boys had nothing much to fight for, after their hopes of qualifying to the knockout stages were frustrated by Egyptian giants Al Ahly’s slim one nil win against Esperance earlier on Friday night. Mustapha Kiiza battles for the ball with a Township Rollers player at Namboole on Saturday. 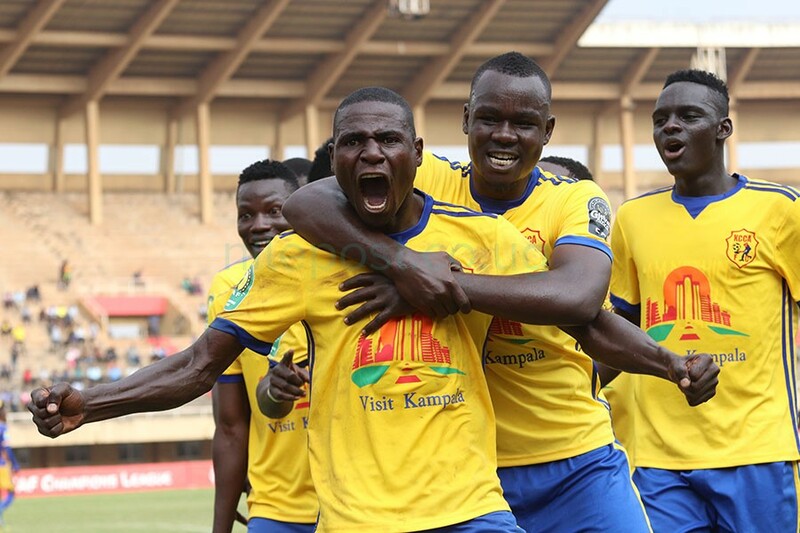 Speaking shortly after the game, KCCA coach Mike Mutebi admitted the result in Egypt dealt them a big a blow but said they have learnt goo lessons from this year’s expedition of the Caf Champions League. “Our performances throughout the tournament have been good and have provoked attention that there is an emerging team that has its own way of playing football,”Mutebi noted. 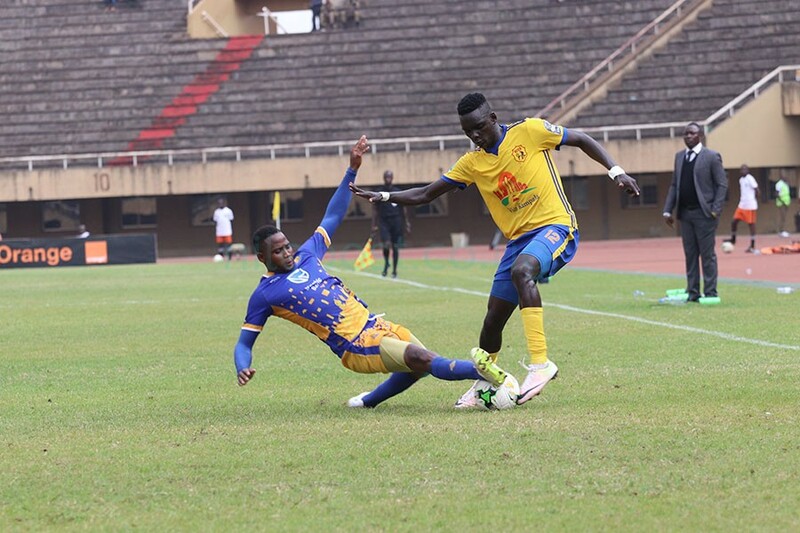 The KCCA tacticians also believes his boys who were novices during this year’s Caf Champions League have now got what it takes to compete at such a big stage despite being young. “With the youngest squad in the entire tournament, my team did a good job and the sky is the limit,”Mutebi said in reference to his young breed of players including Allan ‘Jolly’ Okello, Mustapha Kiiza, Julius Poloto and Patrick Kaddu among others. In the same manner, Township Rollers assistant coach Thabo Motang says the tournament has been a learning experience for his team and hopes for the best in the forthcoming one. KCCA will now play their last game in Cairo against Al Ahly only to cement their third position after their hosts(Al Ahly) and Esperance qualified to the knockout stages both currently on ten points in group A.